I have a confession to make: I'm not exactly a "cruiser." No, I'm not talking about cruisin' the strip, or cruisin' for a bruisin' (though I do try to avoid cruising for bruisings). I'm talking about cruise ships. I have absolutely nothing against cruise travel, or those who travel by cruise ship. I actually applaud cruise travelers, because many of the ones I've met, take cruises because it's what they have the means and time to do and plan. They'd rather at least travel, even if largely by pre-planned trip and itinerary, then stay at home. Like I always say, you don't have to go around the world, you just have to go. And if going, means seeing a destination or series of destinations by cruise ship, then so be it. 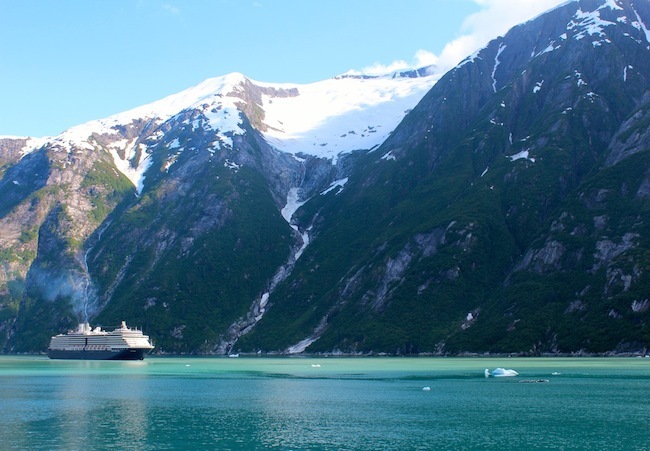 However, I'd be remiss not to mention that I have been on a cruise, just a couple years ago to Alaska, a trip that I had always dreamed of doing, and the destination my father had wanted to take me more than any other, but had never had the chance to. I got to see America's last frontier in a way that few people get to see it, meandering past icebergs, viewing whales breach out of the Inside Passage, and watching as bears fished for food. It was an offbeat experience I could only have by ship, and was the best representation of the type of cruise trip I'd go on if I ever went on one. But I hadn't really considered going on another cruise since. But then a friend of mine reached out to me about Carnival's new cruise line, Fathom, and cruising through the Caribbean to the Dominican Republic. "Really, a Caribbean cruise?" Because a Caribbean cruise isn't your everyday cruise (<----Sarcasm). But as it turns out, this really isn't your everyday cruise. This is a volunteer cruise to the Dominican Republic. Fathom Adonia leaves on Sunday for its maiden voyage, and on it, along with several hundred other passengers, will be yours truly. This trip, a volunteerism cruise to the Dominican Republic (with a route to Cuba, the first of its kind, also), addresses several problems for me. First, and perhaps most obviously, it's not so much a cruise route, as a cruise to a destination. In other words, I'm not spending a few hours in a few different port cities, but rather several days in a destination, allowing much more cultural immersion than my Alaska cruise for example. But more importantly, it addresses some fundamental questions and grievances I've had with some of my own travel experiences. First, it addresses a major question I've had on many trips I've taken: How can I give back to a destination without just doing a long-term volunteer trip? It's often felt like the only way to give back to a destination I've visited or am visiting is either by giving money or doing a volunteer trip. But what's the middle ground, where I can have an experiential trip in which I can both relax and be immersed in a destination, but also feel like the destination has been left better than when I arrived? Fathom's itineraries in Puerto Plata, Dominican Republic addresses that sentiment. For the entire few days while in the Dominican Republic, I can volunteer all day, every day. But I could also spend the morning snorkeling, and the afternoon volunteering, or spend one day volunteering, and the next day snorkeling in the morning and visit a museum and distillery in the afternoon. I've always said that travel produces the best version of myself. That is, that I come back home better than I left. And I think that type of experience can be heightened by the type of itineraries like Fathom is offering. I'm excited to immerse myself in a destination I've never been to. And I'm not going to lie, excited for rum. But I'm really looking forward to learning and having a ground-level travel experience that I haven't had from a trip like this. Some days will involve travel experiences like you'd come to expect from the Caribbean, like snorkeling and visiting a distillery (this isn't called WHISKEY Tango Globetrot for nothing), while other days will involve rotating to different work stations at a women's chocolate-making cooperative and working with local artisans in producing water filters. I look forward to learning in part, about how specifically, my trip is influencing the local culture, and more generally, how the continuous trips to the Dominican Republic are affecting the communities long-term. Often with volunteer travel, I think travelers leave the destination proud and fulfilled, but that it can come at a cost to the destination. I find that it's often the traveler who benefits and feels empowered, while the community isn't. I'm keen, however, to see how this is different, perhaps changing the face of traveling for good, and developing a travel experience that not only betters travelers, but betters the destination. I'll be posting some next week on the trip from Fathom's maiden voyage, both on Twitter and Instagram, and then share more here about the experience of my volunteer cruise to the Dominican Republic. Otherwise, you can find out more about Fathom's Cuba and Dominican Republic cruises on their website.